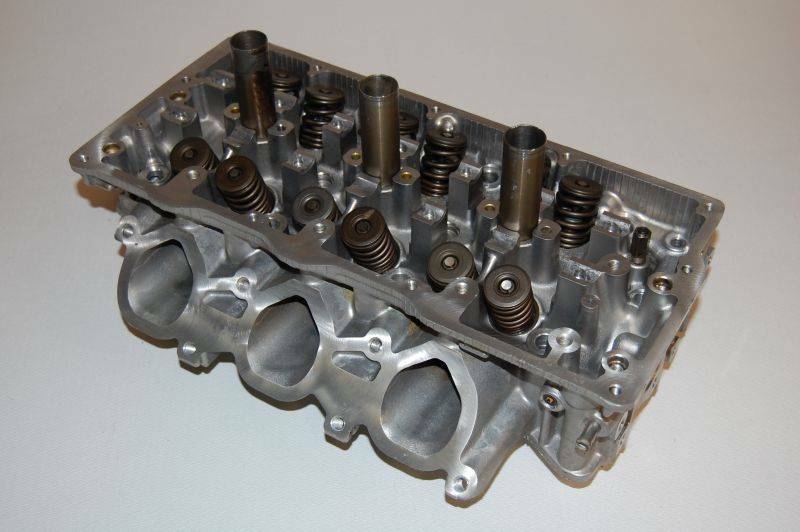 This listing is for a rebuilt Honda Passport 3.2 liter single cam cylinder head for the years 1996-1997. (THESE COME AS PICTURED, WITHOUT THE CAMS..WE DO NOT HAVE CAMS, ROCKERS ETC). For other models see our store listings. This head is completely rebuilt. It has been pressure checked for cracks and resurfaced. Guides and seats have been replaced as needed. New VITON valve stem seals have been installed. All heads are given a three angle valve job. All valves have been vacuum checked to ensure proper sealing.These heads sometimes come with a "96" cast into them. The ones with "96" on them are different this number is usually on one end or the other, please look and see if your head has it or not. Please include this information, your vehicle's year, the side you need (drivers or passengers) and your phone number with area code, with any correspondence such as an email or Paypal payment. These heads sometimes come with a "96" cast into them. The ones with "96" on them are different this number is usually on one end or the other, please look and see if your head has it or not. Please include this information, your vehicle's year, the side you need (drivers or passengers) and your phone number with area code, with any correspondence such as an email or Paypal payment.